In Denver, city council members are weighing whether Chick-fil-A will be allowed to open in the Denver International Airport. “Ten of the 13 [Denver city council] members attended Tuesday’s meeting, and none rose to defend Chick-fil-A, although some didn’t weigh in,” reported the Post. If the Denver City Council is concerned about the morality of the businesses at the airport, they should take a closer look at two current occupants: Ben and Jerry’s and Starbucks. According to 2nd Vote, Starbucks Foundation has donated to Planned Parenthood, while Starbucks has been “listed as a company that matches employees’ gifts to Planned Parenthood.” Ben and Jerry’s parent company, Unilever, has donated to Planned Parenthood. Neither Starbucks nor Ben and Jerry’s responded to The Daily Signal’s request for comment in July when asked about their support for Planned Parenthood. 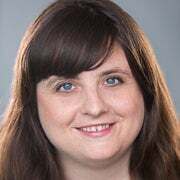 –In the first video, Dr. Deborah Nucatola, senior director of medical services at Planned Parenthood, makes statements suggesting Planned Parenthood may perform partial-birth abortions, despite such procedures being illegal. — In the second undercover video released by the Center for Medical Progress, Dr. Mary Gatter, president of the Medical Directors’ Council for Planned Parenthood, joked that “I want a Lamborghini” when discussing prices for fetal tissue. Just try to imagine what the reaction would be if say, a Texas town tried to ban Starbucks or Ben and Jerry’s. 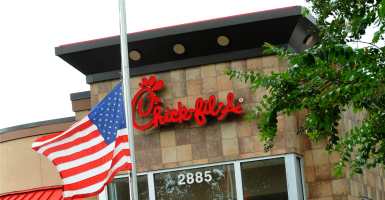 Liberals are free to boycott Chick-fil-A, just as conservatives can boycott companies who support organizations who donate to groups advocating stances they find immoral or wrong. But it’s another matter entirely to bring in the government to ban Chick-fil-A entirely. It should be consumers, not government officials, who decide which businesses thrive and which don’t. Denver, it’s time to try a little tolerance.